This exciting project has brought the new subject of 'Environmental History' into two primary schools in East Manchester. The project arose from pupils wanting to know why their school soil was contaminated and why so few animals lived in their their locality: consequently the project focused on the impacts of the industrial and built environment on the heritage of East Manchester. Using maps, photos, written accounts. walk-abouts, and personal research pupils explored how their local environment has changed over time. St Brigid's RC Primary learnt how their soil has been contaminated since the industrial revolution and how air pollution which began in the mills and factories still impacts on our world today. Armitage CoE Primary focused on wildlife, exploring how changes have impacted on mammal, bird and insect populations and how water and air pollution along with the loss of habitat have faced animals with huge challenges. To explore the stories of the animals they created and shared a 'Council for All Beings'. Both schools met a mixture of local experts, politicians and local organisations to discuss the issues and to consider what can be done to secure a better heritage for future generations. They also shared their learning within their school communities, their local communities and with local environmentalists. 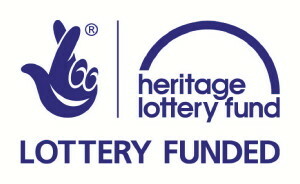 Many thanks to the Heritage Lottery for supporting this project.